The quick and easy way to beautiful grass. Perfect for residential and commercial applications hydroseeding is a great solution to get a lush, green lawn quickly and easily. With over 25 years of industry experience and hundreds of satisfied customers, we’re equipped to handle your project with the highest degree of professionalism. Contact us today for a free quote and to lean more about how we can go above and beyond on your next hyrdoseeding project. Hydroseeding is a quick and efficient way to achieve a thick, beautiful lawn. The process involves applying a mixture of grass seed, dense fiber mulch, high quality fertilizer, tacking agent and water to the seed bed via a high-pressure hose. The mixture leaves a greenish blue covering over the seedbed, much like a paint. Within a few weeks, the grass seed will begin to sprout and grow into a thick lawn. Unlike traditional seeding which requires separate applications of seed, fertilizer and water, Hydroseeding’s all-in-one application provides an efficient solution that requires little follow-up maintenance. In addition, these efficiencies can provide significant cost savings over traditional sod and less maintenance than traditional dry-seeding. 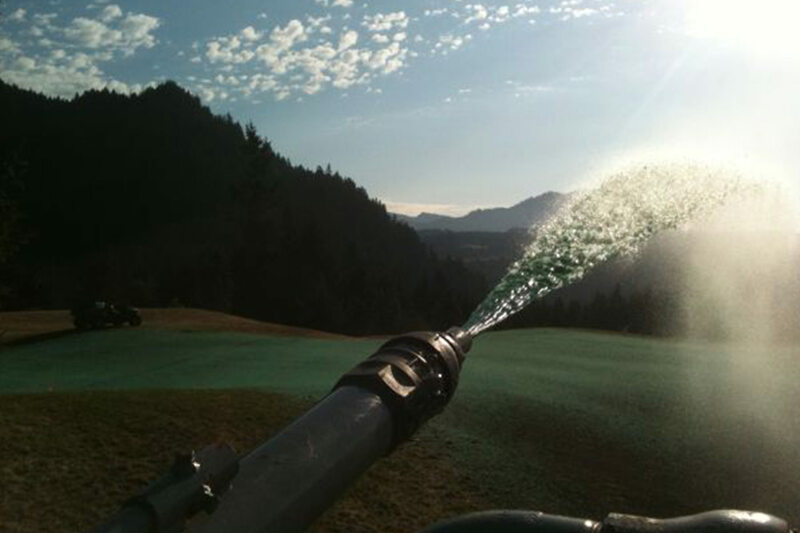 We utilize the highly advanced ProGanics Biotic Soil Media (BSMTM) on a select number of Hydroseeding projects that require soil amendments. This highly advanced amendment product provides depleted soils with nutrients critical in promoting both rapid and sustained vegetation establishment with greater efficiently and lower costs than traditional methods. Chat with a representative and get a free estimate for your next hydroseeding project. 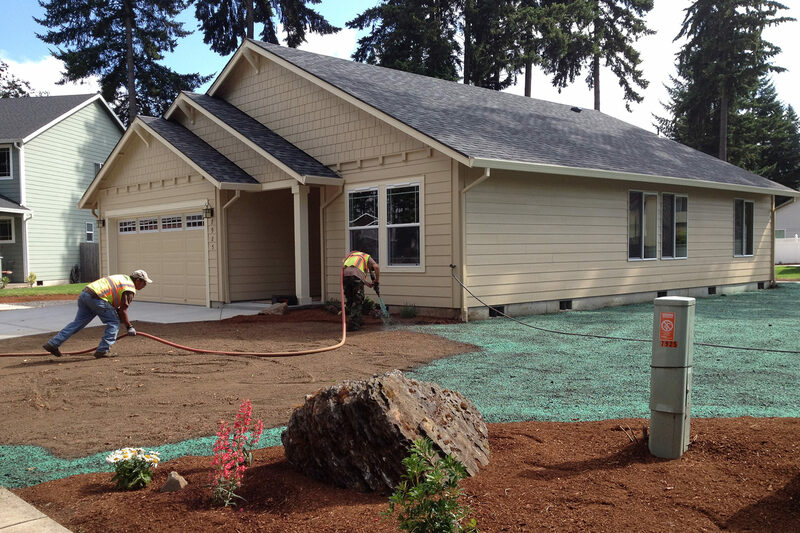 We would like to thank Above & Beyond Hydroseed for an outstanding effort on this recently completed project in Camas. The project involved a very aggressive schedule and it was completed on time. Bravo!.